In Order for me to tell you my story, I must tell you about the shoulders on which I stand. Telling my story this way is particularly interesting to me because you see. In 14 days it will be exactly 12 months since I woke up to my mother feeling weak and short of breathe and by 8am that morning he was dead, she had passed on. Her death in the last 11 months was not only difficult, it, triggered in me the thinking around legacy and what we as humans should strive and leave as our legacy. SO today I will tell my story through the lens of not only my mother Hillary but my Grand Mother Theresa. Theresa my grandma, as I remember can only be described as the most tenacious woman I have ever met, during her lifetime, she run 10-15 business. She run a meat retail business, when that failed she started transporting Yam, all the way from Northern Ghana to the south to sell. My mother tells a story of a Christmas where they were not quite sure where their mother Theresa was, and she turns up back in the village on top of a huge van carrying hundreds of tubers of Yam for sale. I made the jump again. Today EDEL Tech has been nominated multiple times as IT consulting firm of the year and when Ghana Vice President was looking to companies to support innovation in Ghana, we were invited to the table. 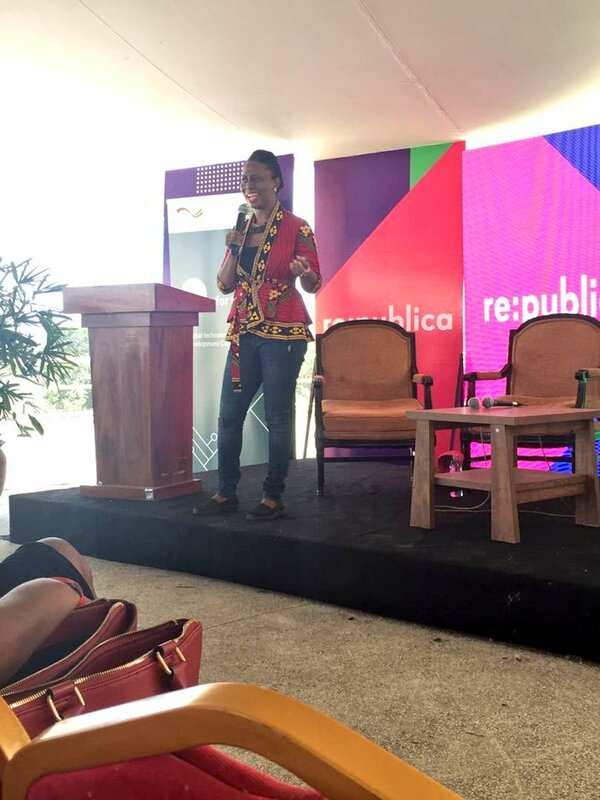 I did not just stop, I started Women in Tech Africa, from 70 women in Ghana. Women in Tech Week (WiTW): I worked with my team to create a digital festival that brings women in tech globally together to celebrate success and impact through leadership training, peer learning, and workshops. The focus topics are related to Technology, Entrepreneurship, Work-life balance, and Leadership. The audience for these events generally comprises of women tech entrepreneurs, girls aspiring for stem careers and C level executive women. WiTW has reached 10,000 women in 2016/2017 and increased to 12,000 in 2017 and a target of 20,000 in 2018 through its virtual and physical events across Mauritius, Tanzania, Ghana, Dr. Congo, Nigeria (Lagos and Port Harcourt), The Gambia, Kenya Malawi, Ethiopia, Belgium, Cape Verde, Mauritius, South Africa, Zimbabwe, Ireland, France and Germany. My mother Hillary taught me about identity, I remember around Christmas, we would make everything from scratch, cakes, food and everything, hours of hours of labor, one day she turned to us and dad and said ‘I am done’, and this is the story of how my Dad became responsible for making sure there were baked goods in the house every Christmas, she was not afraid to stand in her identity. I also remember when her job transferred her outside of the city of Accra and she came under intense pressure to abandon her job, something she loved intensely, but again stood strong. Lastly both women were my insight into what strong capable African women looked like, I progress because I stand on the shoulders of my ancestors. I am mother’s legacy but more importantly I have taken that mantle and run with it , my legacy will not only be my daughters but for every woman in tech we have supported with training and opened doors , for every speech I have given on an international stage standing as an important person ( I just got back Nairobi Kenya , advocating for the regulation of fintechs across the continent alongside the Secretary General of UNCTAD and The Vice President of European Commission) and if that inspires more girls and women to take up leadership , my legacy would have been triple fold the ancestors on whose shoulders I stand on .